In my review of the first book of ‘The Shiva Trilogy’ by Amish Tripathi The Immortals of Meluha, I had mentioned that the author speaks of a civilization so advanced scientifically that the scientists of the country (the so-called Rishis) had developed a potion that makes the drinker live up to two hundred years. 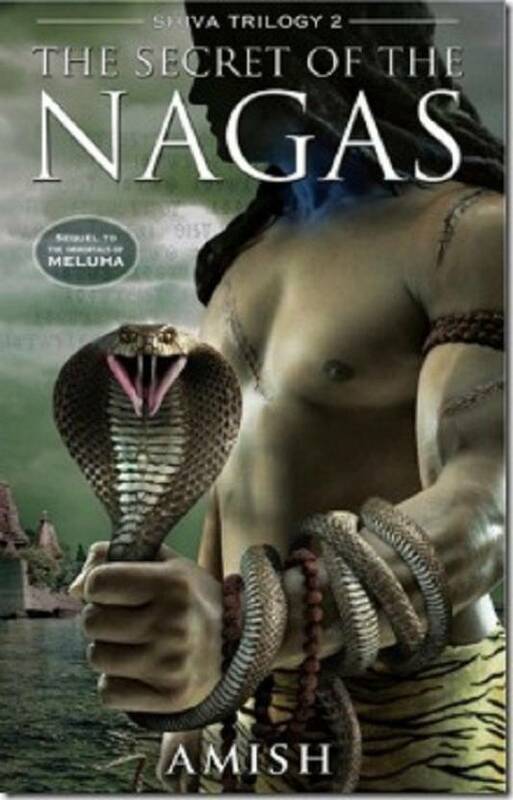 This time around, in the sequel ‘The Secret of the Nagas’, we hear that mental telepathy had already been discovered in ancient India. Amish tells us that thoughts can be transmitted, and it was already a well-known Science in ancient Bharat. Wow, India sure was on top of the world in ancient times! It is indeed a pity we allowed ourselves to be toppled from such dizzying heights to the levels of ordinary mortals like the rest of the world. As I said in my review of the first book of the trilogy, Amish tries to desperately rationalize mythology with a lot of nonsensical fiction. I know he is only trying to fictionalize mythology. The only problem is, by writing such arrant nonsense he ends up giving legitimacy to all the stupid claims about ancient India and its scientific glory made by the Hindutva brigade. As it is we are the laughing stock of the world. We don’t need our authors adding to things by claiming idiotic nonsense even if it is fictional. Coming down to the story Amish does make it interesting. The slow and gradual way in which Parvateshwar comes to terms with his feelings for princess Anandmayi and finally marries her makes enjoyable reading. The way Amish deals with the sudden ambushes by enemy forces are all dealt with technical precision. Lady Sati’s battle with the menace of attacks by lions on hapless villagers and her courage and leadership in the face of adversities make enjoyable reading. Some of the philosophical education imparted to the protagonist Shiva by the Vasudev Pandits, albeit through telepathy, struck a deep chord in me. I had mentioned in my review of the first book of the trilogy that the only reason I had picked up this book was that I am a crazy perfectionist who never gives up on a book halfway. And since this is a continuous story in three parts I have no choice but to read the remaining two books. I find this second book of ‘The Shiva Trilogy’ a shade better than the first. The philosophical discussions, the love between a young princess and a general and other such interesting bits helped me to get to the end without putting the book down too often. I am going with a 3/5 for Amish Tripathi’s ‘The Secret of the Nagas.’ It is definitely a better book than the first book of the trilogy. Well, I have one more book to go before I complete the trilogy. I will order it from Amazon after some time. I am not in the mood to read about the glorious scientifically advanced civilization ancient India was, anytime too soon.